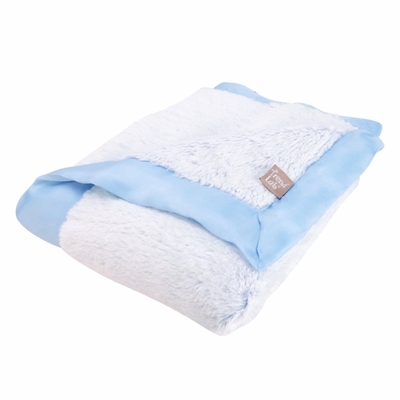 Trend Lab’s Blue Peek-a-Boo Faux Fur Framed Receiving Blanket is a must have with Two luscious layers of snuggly white faux fur with an adorable powder blue base. A matching powder blue matte satin frame adds richness to this ultra-soft blanket. Blanket measures 30” x 40”. Blanket coordinates with Trend Lab’s Blue Peek-a-Boo Faux Fur and Matte Satin Reversible Baby Booties.